← We Tell You Just a Little About Your ISA President, Myrna Bilton. ISA Immediate Past President Michael and FAMILY, HAVE ARRIVED!!! Michael Ivone and daughter ISAbella, albeit somewhat younger. 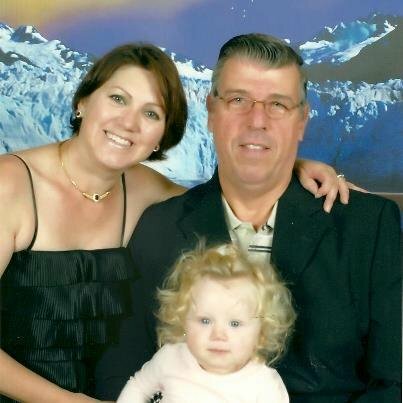 The Past President of the ISA accompanied by his wife Ivone and daughter Isabella arrived in High River, Canada late last evening. After a good nights rest and the breakfast buffet at the hotel pleasantly interrupted by fellow shufflers from around the world shaking hands and pats on the back they set out to view the competition courts and facility and then do a walking tour to explore the city of High River. I will be competing in my 19th ISA World Championship with the beloved Brazilian National Team which I proudly founded together with Dr. Luiz Pimentel in 1996. 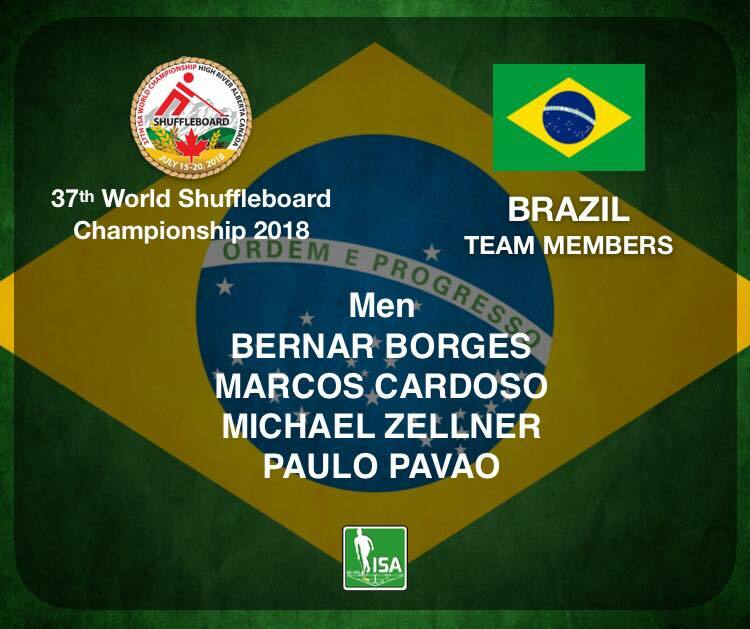 2018 Brazilian Shuffleboard Team Members Our team this year is defending the Silver Medal we earned in St. Cloud, Florida in 2016. The exact same 4 men are on the team with a strong commitment to walk away with our first Gold Medal. Sent along by Michael WITH THANKS!!! Stan 2018 07 14.